One of the primary objectives is to connect, authorize, upgrade, sign and maintain two large epic loops in the region. One that is proposed to travel through the Gowlland Tod Provincial Park into the Hartland – Mt. Work Regional Park, then into the Thetis Lake Regional Park to connect back, together at Bear Mt. 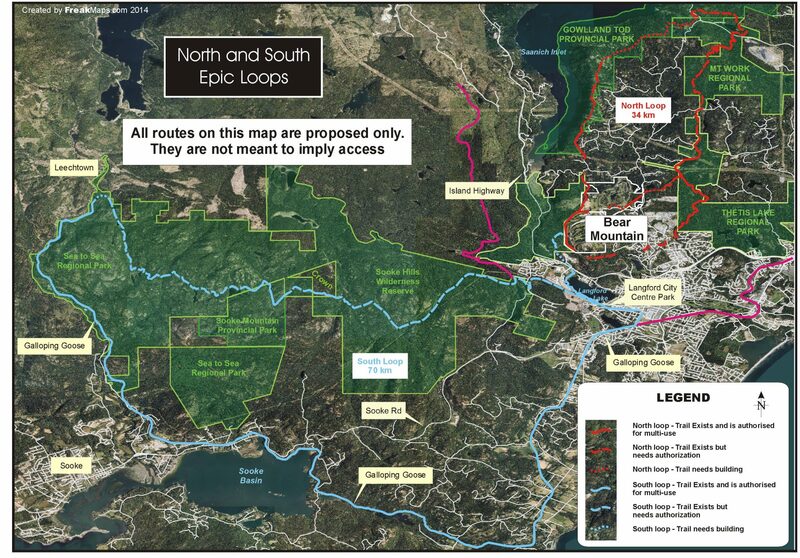 The second loop is much larger and would travel from Bear Mt through the Sooke Hills to Leechtown and back using the Galloping Goose trail.